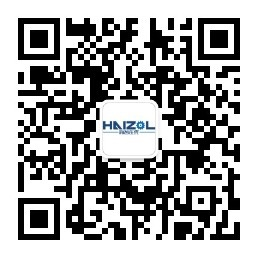 Suzhou City Kai Run Precision Hardware Co., Ltd is specialized in designing, manufacturing, sales and service as one of the metal parts manufacturing enterprise. Our products include fasteners, assembly parts and precision machining parts. Our commission is to build up a top-class company worldwide and provide the solutions to benefit the customers. Suzhou Plant is specialized in plastic manufacturing, welding and assembly, established in 2006. It locates at Huafeng Road of SND, about 1500 square meters. Dongtai plant is specialized in metal machining production and parts assembly, founded in 2011, locating at Yingbing Road Dongtai Fuan Our company have more than 100 sets of equipments, including advanced CNC,CNC lathe, CNC milling machine, high-speed automatic lathe, engraving machine, cold head machine ,thread tap rolling machines. The company adheres to the concept of "market orientated and customer-centered" based on the moral values of virtue as the essence and honest to get trust .Kairun gets a serial of international quality approval, such as TS16949:2009, ISO 9001:2008, ISO 14001:2004. The company has a professional management talents system and technical team. We constantly strengthen product technology promotion, with professional and diversified product continuously surpass customer needs, combined with its own strong logistics capability, becoming the strategic partners supplier of most of the world top 500 enterprises. We sincerely welcome friends at home and abroad to communication and cooperation, also thanks for your kindly supports all the way.